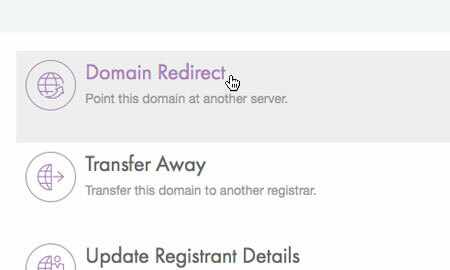 This is a quick step-by-step walkthrough for setting up a domain name redirect. 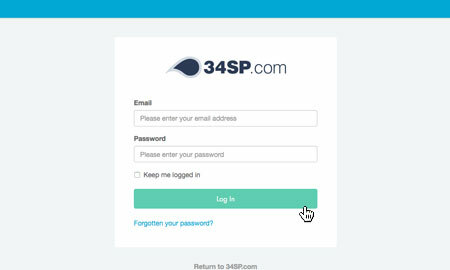 34SP.com controlled domain names come with free domain redirects. We also provide a free email 'catchall' facility as part of our redirect service. 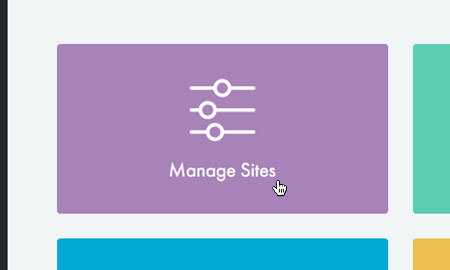 After you have clicked on the website or domain name you wish to edit, you will be presented with a page of icons. Please click on the icon labelled 'Manage Redirect'. This will bring up a form. 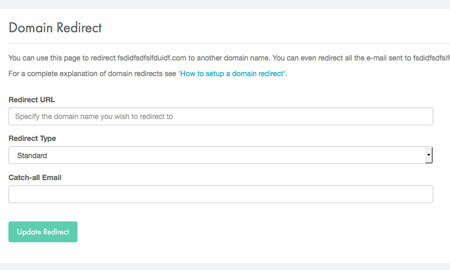 In the field labelled 'Redirect URL' enter the URL you wish to redirect too. The rest of the fields are optional. Setting the 'Redirect Type' to 'Standard' will setup a 301 redirect, we recommend using this type of redirect if you are concerned with SEO. Choosing 'Framed' from the drop down creates a framed redirect that allows you to specify meta data for your redirected page, including page title, meta description and meta keywords. You can specify a catch-all email address for your redirect, meaning all emails will be forwarded to the address you specify. If you don't want to catch-all of your email to a single address, simply leave this field blank. When you're done, click 'Update Redirect' to save your changes.